The six-story newly renovated New York Hotel is only a 15-minute drive to and from the Phnom Penh International Airport. It is situated in the heart of Phnom Penh city on Monivong Blvd., which is known to be the business, shopping and entertainment district. 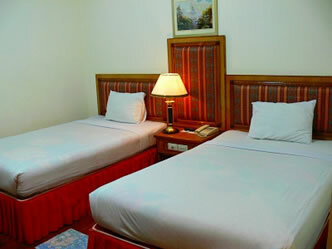 The hotel is ideally in close proximity to many local attractions such as the historical Central Market, Sorya Shopping Center, Wat Phnom Penh Temple, National Museum, Independence Monument and the Royal Palace, Bus/Boat Terminal, Government Ministries, Embassies, NGO’s and other interesting sites. No. 256, Monivong Blvd, Phnom Penh, Cambodia. New York Hotel in larger map.